Follow Grazedotcom Instagram here and Twitter here. Happy Saturday dolls! Hope you all are having a great day! I was out last night with work college so relaxing today. Tomorrow I'm going to the BBC Food Show at London Excel and I'm so excited! 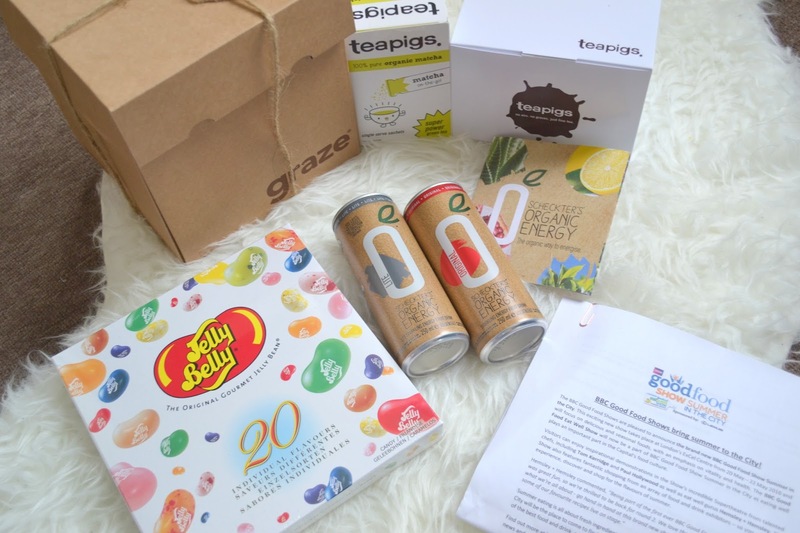 I was lucky to receive a goodie back with different things with the help of the Blogger Programme. 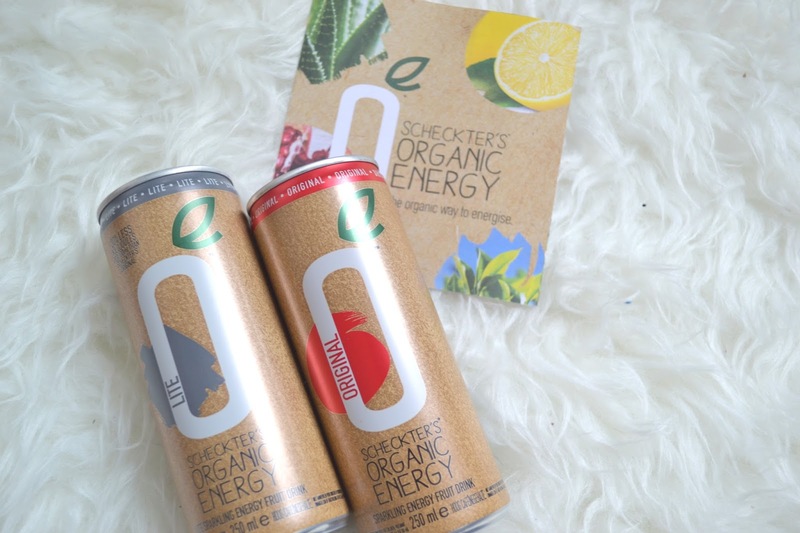 I received different brands such as two Scheckter Energy drinks (Lite and Olive) which taste so good and have given me lots of energy and left me feeling fresh. The Teapigs tea came in a sachet and normal tea which has become my morning tea. 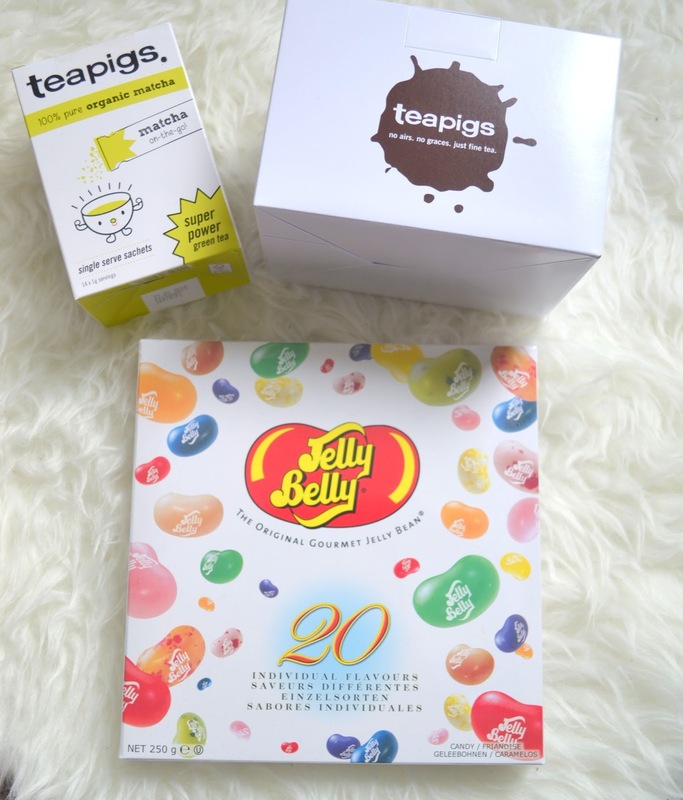 I was so happy when I received the Jelly Belly because I tend to munch on jellies when I'm watching TV or working so now I don't need to buy jellies for month ha! 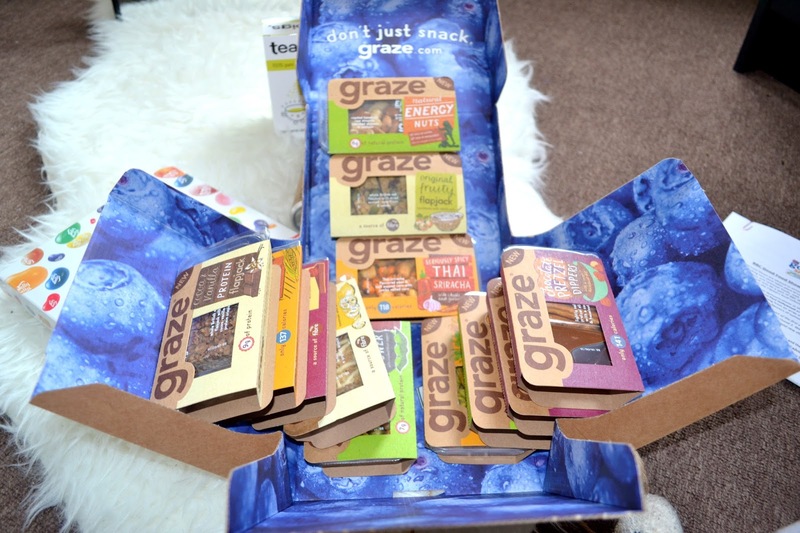 Lastly, my favorite has to be the Graze snacks which I'm shocked with the amount of boxes I received. With a busy week I sometimes don't have time to keep to my healthy eating or eating the proteins needed so having this will help me. I'm excited to try these products and to attend the BBC Food show event tomorrow. Keep an eye on my Instagram here tomorrow as I will be posting pictures through out the day.